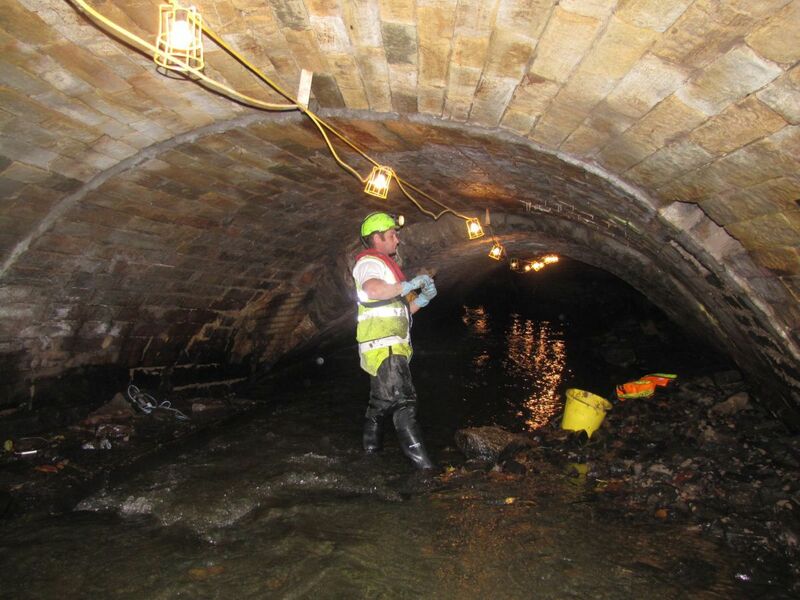 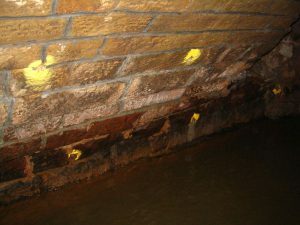 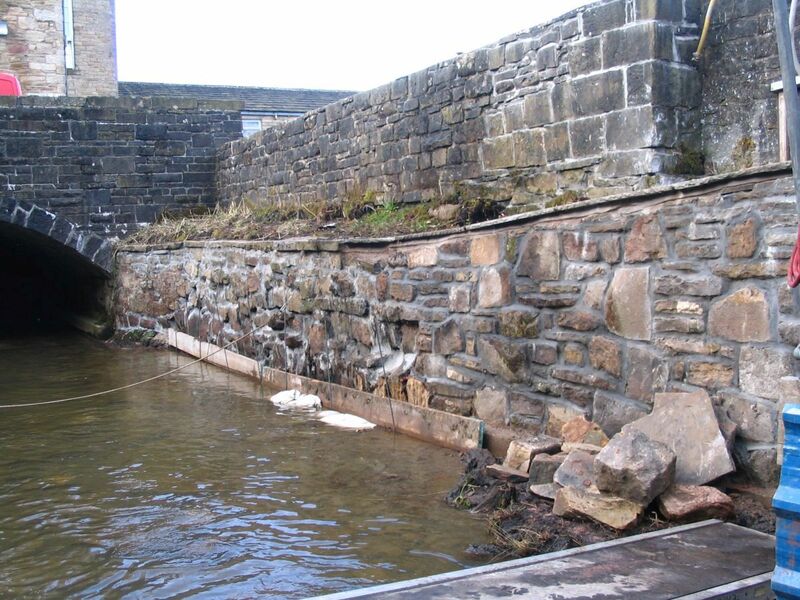 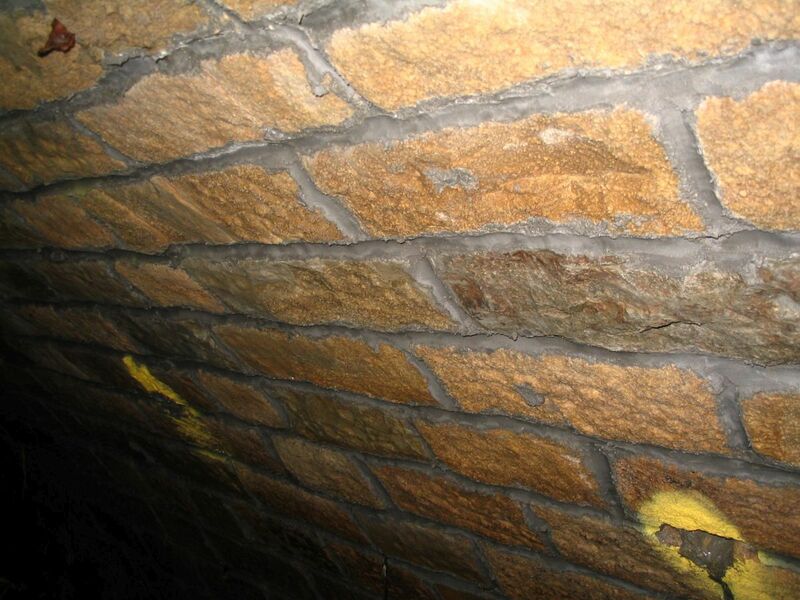 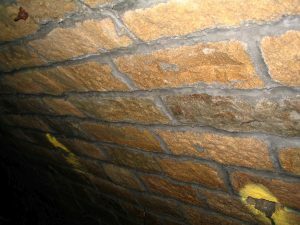 In this culvert, Ram Services Limited’s confined space trained labour force worked over an extended period of time to strengthen and stabilise the aged masonry arched culvert roof over the River Irwell in Bacup. Constructed in stages over the years, the culvert arch is formed of many separate arches of varying cross section, some of which were fund to be in poor condition. 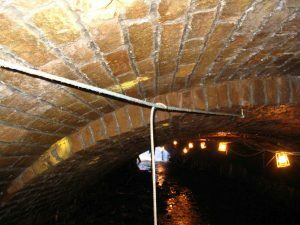 The scope of work called for included filling open joints with pointing mortar, and then drilling through into voids behind the arch ring and injecting cement grout to fill the voids and strengthen the arch construction. 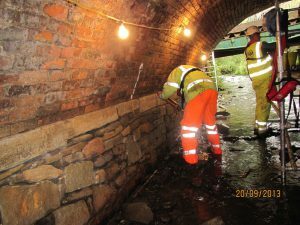 All work was undertaken over live flowing water, and a critical concern was to avoid any contamination of the flow with cement slurry. 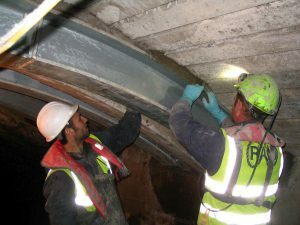 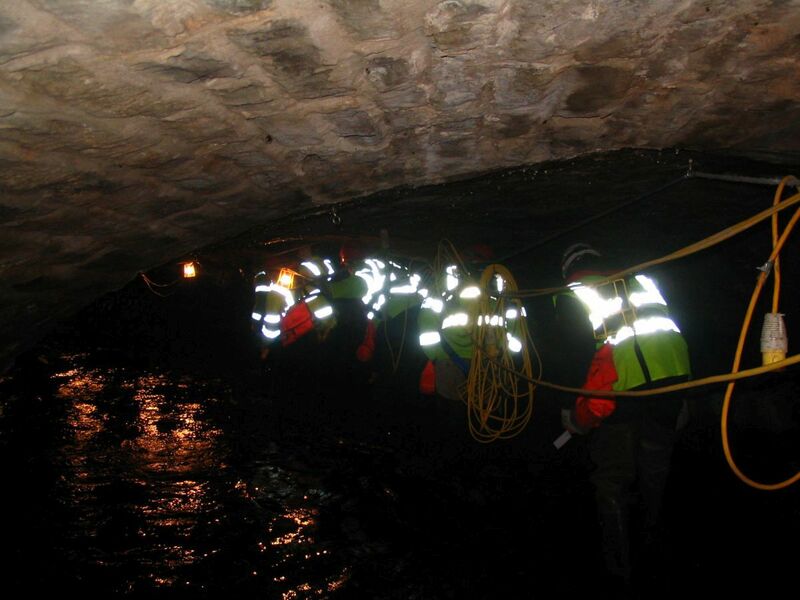 An experienced team was able to meet the challenge, with pointing mortar and grout delivered through hoses passed through drainage connections on the arch from the ground above. 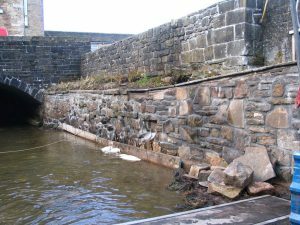 Other work undertaken included the appraisal of a deteriorating section of precast concrete culvert arch roof construction, and underpinning sections of the arch roof where scour had resulted in large voids forming in the arch abutments.